On a cold afternoon at the corner of Kensington and Allegheny avenues, Louis Morano shoved his hands in his jeans pockets and braced himself against the wind. It was noon, and he was first in line outside the doors of a small bus parked by the curb. A few others joined him, sipping piping-hot tea from a giant sports thermos. A volunteer passed out granola bars while they waited. Morano, 29, came in hopes of getting a prescription for buprenorphine, often known by its brand name, Suboxone. The drug curbs cravings and treats the symptoms of withdrawal from opioid addiction. 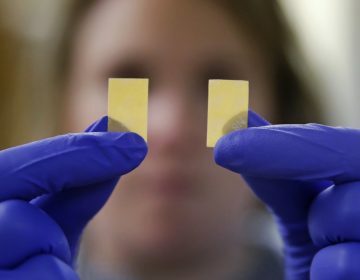 Combined with cognitive behavioral therapy, it is one of the three FDA-approved medicines considered the gold standard for opioid-addiction treatment. Four days earlier, Morano had left detox, where he’d checked in for the seventh time since he was a teenager. Instead of going home to his 3-year-old son and his son’s mom, Morano ended up going to Kensington to score. That wasn’t his original plan, and he regretted it. He wanted to go home, but didn’t want his family to know he had used since leaving detox. He was afraid to try detox again since, after this most recent go-around, he ended up using. 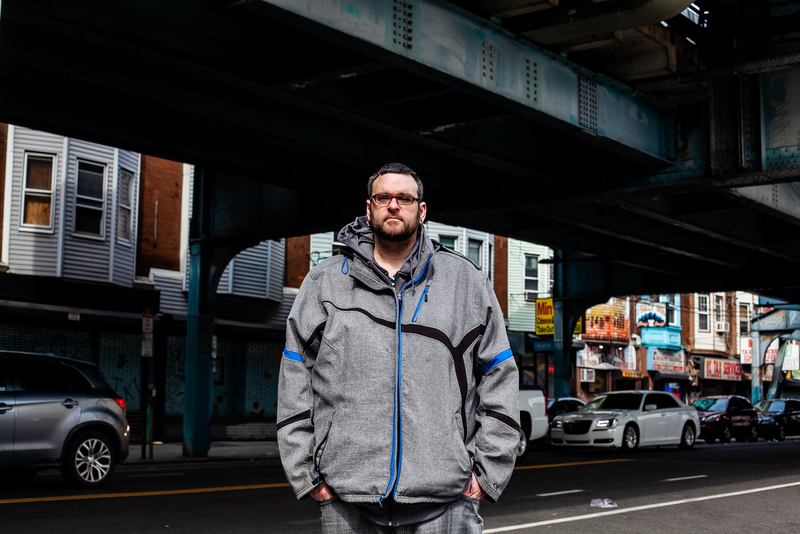 Morano had heard from someone that he could get on a Suboxone program from a bus parked at Kensington and Allegheny, or K and A. He’d tried Suboxone before — he bought it on the street and used it during the day while he was at work, between opportunities when he could use heroin, to keep him from getting sick. He had a sense of how it would make him feel, but he’d never tried it before with a prescription. Because buprenorphine and methadone are low-grade opioids, these forms of medication-assisted treatment, or MAT, have long been stigmatized by many medical professionals and those in the recovery community. They are commonly viewed as additional dependencies — replacing one drug with another. 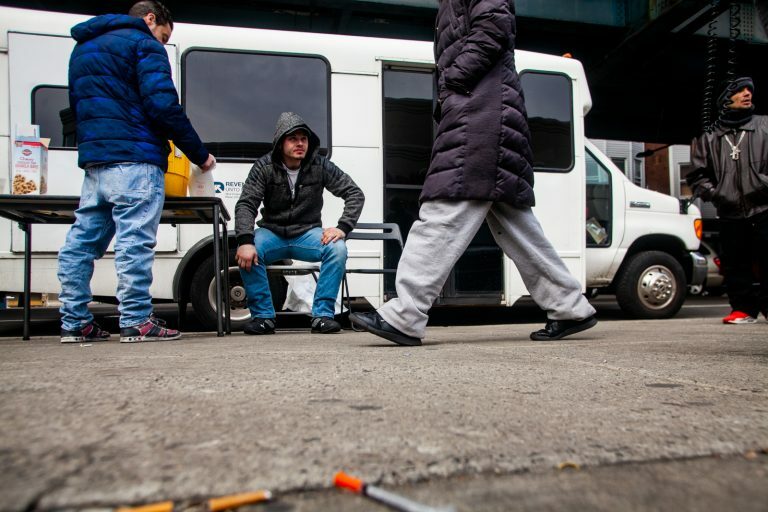 To reduce this stigma, the Philadelphia Departments of Public Health and Behavioral Health and Intellectual disAbility Services launched a campaign to encourage people in addiction to take advantage of the roughly 1,500 available buprenorphine slots the city has to offer. Health Commissioner Dr. Thomas Farley said his department also is working with doctors to become more comfortable prescribing the treatment to patients. Buprenorphine and other medication-assisted treatments could be crucial to treating those suffering from opioid addiction in Philadelphia. So why can it be so hard to get? At K and A, the doors of the bus heaved open, and Dr. Ben Cocchiaro waved Morano inside. 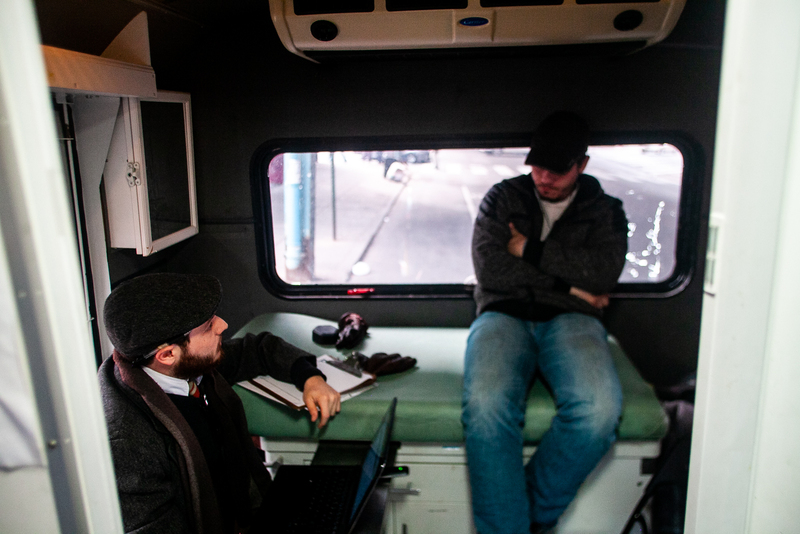 The two carefully moved past a station set up in the cab of the vehicle for those who might not want to go to the hospital to seek care for wounds or infections related to injecting drugs. Morano and Cocchiaro squeezed into a tiny room at the back of the bus, just large enough for a chair for the doctor and a foam table where Morano sat, his legs dangling over the edge. Piano played by Allen Toussaint, Cocchiaro’s favorite, wafted through the bus speakers. A social worker popped her head into the room to go over Morano’s case-management priorities: housing for the next few days, before he was ready to return home, and mental-health services. They discussed what MAT could be like for him, and if he’d be open to seeing a therapist. When the conversation turned to his family, Morano got a bit emotional and pulled the brim of his baseball cap down. “This is what happens,” he said, hiding his face. “Just all the emotions,” Morano said, sniffling. Cocchiaro put his hands on his knees and looked Morano in the eye. “When that happens, I want to teach you a little breathing exercise, OK?” Cocchiaro demonstrated a relaxation technique, and Morano followed suit. Another tool is buprenorphine, for which Cocchiaro called in a prescription on the spot. 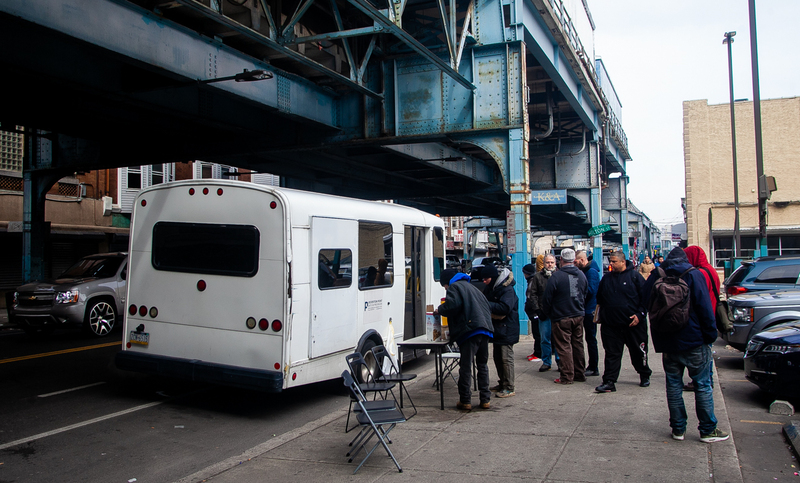 The “bupe bus,” as it’s known, is operated by Prevention Point, and it’s what Philadelphia’s push toward medication-assisted treatment looks like in action. 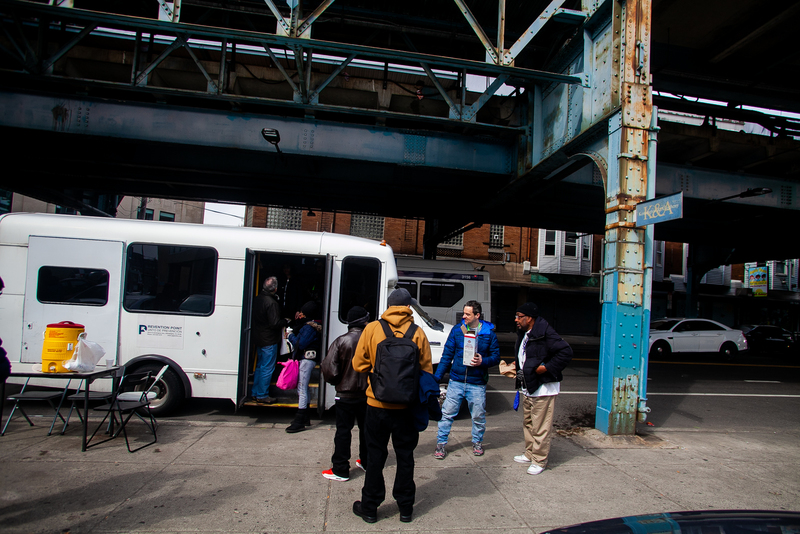 Funded by the health department, the bus parks at K and A most days to treat patients like Morano. 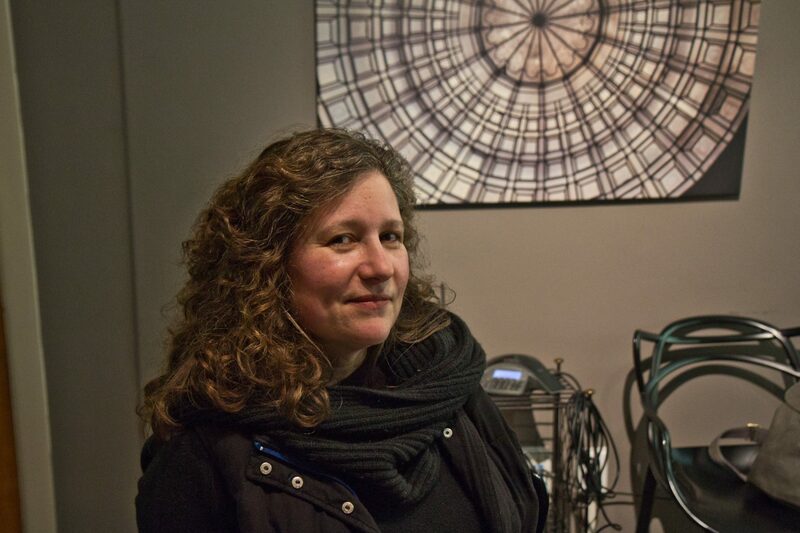 According to Prevention Point’s Silvana Mazzella, the program enrolled 88 people in its first three months, half of whom are still enrolled. 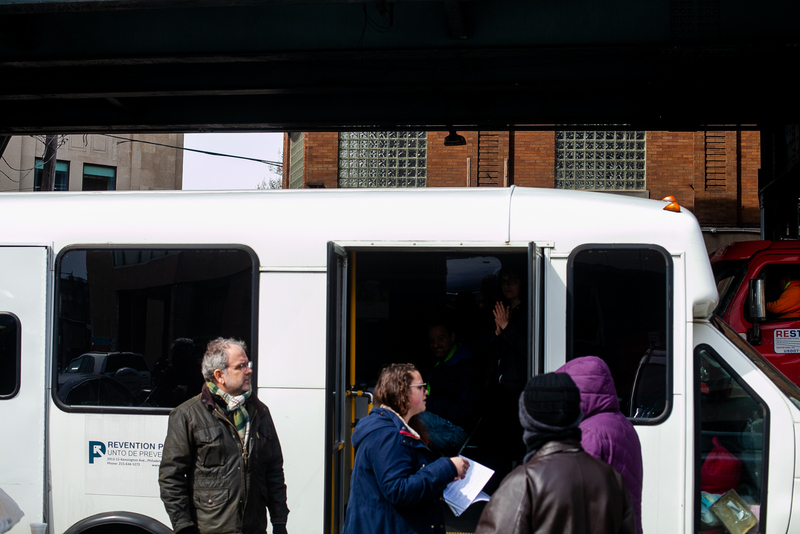 Prevention Point workers send people to the Pharmacy of America III just a few blocks away, where they know pharmacists will fill prescriptions for patients reliably and without judgment. Mazzella said they have a relationship with that pharmacy because it stocks enough of the drug to dispense it to patients without risk of running out. Those who need buprenorphine often need it immediately, as they are beginning to experience uncomfortable withdrawal symptoms. Most pharmacies that run out would simply send a patient to another store to fill the prescription, but for someone in active addiction, that delay could make all the difference. 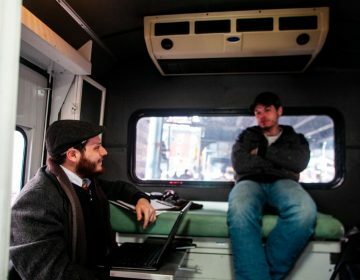 “We’re in a situation where if you are in withdrawal, you’re sick, you need to get well, you want help today, and you can’t get it through medication-assisted treatment, unfortunately you will find it a block away, very quickly, and very cheaply,” said Mazzella. The pharmacists she works with have a solid understanding of Prevention Point’s patients and are in good communication with her doctors and staff. Researchers say relationships like this tend to be the exception, not the rule. “What we heard anecdotally was that patients were having trouble finding a pharmacy that would fill their prescription,” said Dan Ventricelli, assistant professor of clinical pharmacy with the Philadelphia College of Pharmacy at University of the Sciences. In interviews with pharmacists and doctors, Ventricelli found that they had different expectations of what treatment should look like. Doing something wrong carries a lot of risk for pharmacists, many of whom are worried about losing their licenses if a drug is used differently than prescribed. Because buprenorphine is a partial opioid agonist, it does have the potential for misuse, or “diversion,” and it’s commonly sold on the street. Some pharmacists view the potential for diversion as an inherent possibility that comes along with their responsibility to prescribe the medication. “I mean, we have basically become the police and the gatekeepers of these medications,” said Jimmy Luu, who runs Sunray pharmacy in Kensington. Richard Ost, who runs Philadelphia Pharmacy across from Episcopal Hospital, isn’t willing to take the risk. He said he has trained his pharmacists to keep a sharp eye out for people who behave in a suspicious way. His pharmacists will follow people out to see if they sell the pills, Ost said, and are wary when large groups of people with identical prescriptions come in. 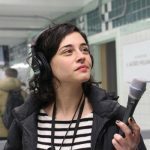 Ost admits that from a harm-reduction perspective, it might not be the worst thing in the world if someone who was prescribed Suboxone shared it — it could help the other person, too. But that doesn’t change what he views as his duty as a medical professional. “It might be a good thing that you shared it with a friend, but I have a responsibility to fill it as prescribed,” he said. Because of the red tape he puts up to ensure he stays legitimate, Ost’s pharmacy has gained a reputation as one where it’s not easy to get Suboxone. As a result, he doesn’t stock much of it — or any narcotics. Even the pharmacies that aim to stock Suboxone can run out. Limits set by wholesalers require pharmacies to order the drug in small, frequent batches. Though pharmacies can apply for exemptions to order more at a time, or to have a higher percentage of their total stock be controlled substances if they are in high-needs areas, doing so invites a higher level of scrutiny from the wholesaler and, in turn, the Drug Enforcement Agency. Another obstacle to buprenorphine access comes from insurance companies that require prior authorization from doctors for pharmacists to fill their prescriptions. An extra step in the prescribing process that applies to many substances considered at risk for misuse, prior authorization can take anywhere from one day to three. As with a pharmacy running out of buprenorphine, the lag time could drastically increase the chances of someone using illicit opioids again instead of starting treatment. In fall 2018, the Pennsylvania Insurance Department announced an agreement with the state’s major insurance companies to waive prior-authorization requirements for at least one form of each of the three medication-assisted treatments. The same had been done for the state’s Medicaid managed-care organizations earlier in the year. But all the pharmacists WHYY spoke with, plus Prevention Point’s Mazzella, said pharmacists were still calling in for prior authorization all the time. That’s because the insurance companies must waive the requirement for only one form of the drug. For some, it might be the tablet; for others, it might be the film that dissolves under the tongue. Doctors do not take a patient’s insurance — or the form of buprenorphine for which a given insurance company waives prior authorization — into account when prescribing, the pharmacists said. That means that the state’s effort to lower this barrier does not seem to have reliably done so. To date, much of the research on barriers to buprenorphine access has focused on provider deserts. Doctors must apply for waivers to prescribe buprenorphine, and many don’t. But that might not be a wide-enough lens, according to USciences’ Dan Ventricelli. 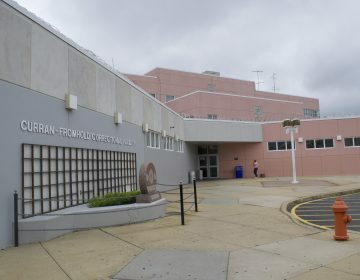 After months of searching for a doctor with the right waiver to prescribe Suboxone, the Philadelphia jail has solved the problem. 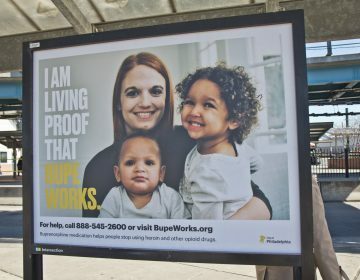 A new citywide campaign features those who credit the treatment for their recovery. Health officials want people to know that buprenorphine is available and effective. The grant comes from a program trying to enlist more community-based primary care physicians in the fight against the opioid addiction.